Max Pudney Details The Last Flight Of Wellington-Born Flying Officer Arthur Round. The Increasingly Viscous Australian Domestic Airline Market Is Examined By Murray Kirkus. Brian Haybittle Follows Katrina Sims As She Heads To Cananda To Realise Her Dream Of Becoming A Commercial Pilot And, Along The Way, Offers Some Pointers For Those Wanting To Do The Same. 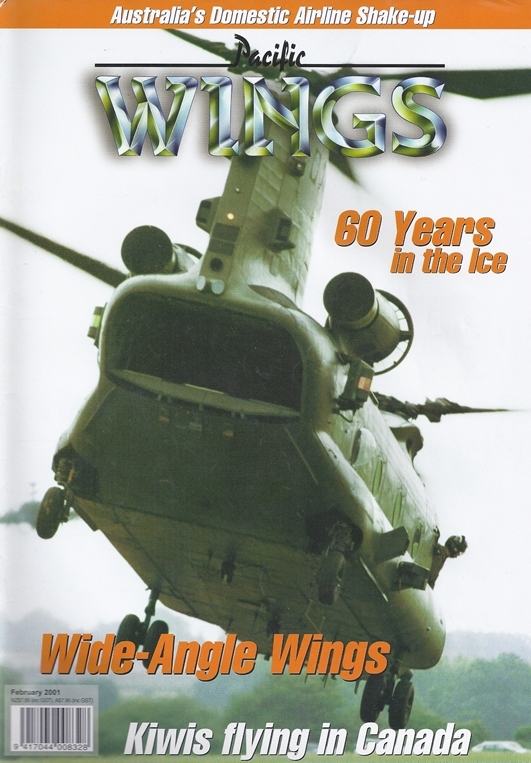 Peter Cooper Braves ""Danger Of Death"" To Bring All The Rotary-Wing Fans This Report On Middle Wallop. Murray E Kirkus Profiles Veteran Queensland Tiger Moth Pilot Bruce Mcgarvie. A More In-Depth Look At The Dc-3 SpaNZ Reunion Tour. By Peter Layne. Geoff Best Catches Up With Dino Barabas And Dave Christensen Of Airesearch Mapping Australia, Together With Their Cessna 421C Golden Eagle II, On A Recent Visit To New Zealand. The ""Heart"" Of Aviation Safety? ""Taumarunui On The Main Trunk Line."